One centre-back who was continuously linked with a move to Manchester United over the summer has shot down claims that he was close to a switch to Old Trafford and has revealed that any talk around a move was ‘just his agent’. 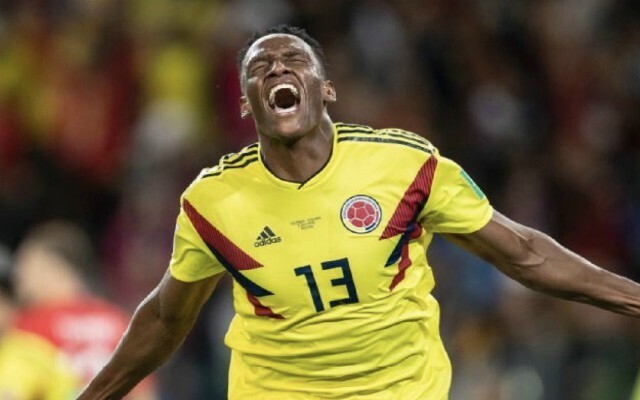 Columbian defender Yerry Mina revealed everything about his exploits at this summer’s World Cup and the reported interest from United in an interview with the Guardian. Mina told the Guardian that despite being linked to the Reed Devils over the summer that “any talk with Manchester United was just my agent”. Mina was exceptional for Columbia during the World Cup scoring three goals in three consecutive games before England knocked the Columbians out in the last 16 on penalties. United fans were shocked when Mina joined Everton on transfer deadline day this summer for a fee reported to be £27.2m according to BBC Sport. Unfortunately the 24-year-old signed for Everton with an injury that was aggravated during the World Cup and the towering defender has been limited to a single substitute appearance for the Toffees so far. With Kurt Zouma unable to face his parent club Chelsea this weekend, Mina is finally expected to make his full debut for Everton. Could the centre-back go on to make United rue their decision not to sign him this summer?